A one-time price of $309.99 will be added to your order. The Snom D785 belongs to the latest generation of advanced Snom IP phones. 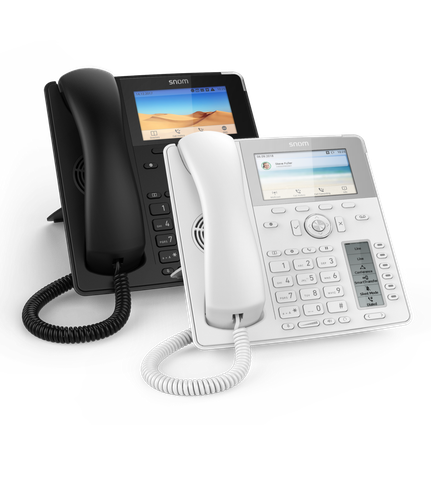 Elegantly designed (Black and white) and featuring a large high-resolution colour display and a convenient second screen for dynamic contact management as well as integrated Bluetooth, this IP phone has all the functions necessary to fulfil even the most demanding requirements.